The recipient of a JD from Loyola University's School of Law, James R. Carey is an experienced trust and estate attorney who serves as a partner with Chicago's Levin Schreder & Carey. 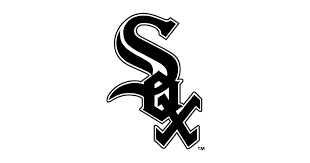 Outside of his responsibilities as an attorney, James R. Carey enjoys following his favorite Major League Baseball (MLB) team, the Chicago White Sox. The White Sox have won only four of a possible 18 games to start the 2018 season, but there's plenty of reason for optimism in the Windy City as Chicago boasts one of the most impressive minor league systems in all of baseball. In fact, prior to the season, Bleacher Report ranked Chicago's farm system as the second-best in the MLB, second only to the Atlanta Braves. It included three outfielders among the top four prospects, but beyond that the organization is stacked with pitchers. Michael Kopech, Dylan Cease, and Dane Dunning, who Bleacher Report ranked as Chicago's second, sixth, and seventh-best prospects respectively, have all been impressive to start the season, while other lesser-known prospects are exceeding expectations. Ian Clarkin, a left-handed pitcher who the White Sox acquired from the New York Yankees in 2017, had only given up one run through 12 and one-third innings with Chicago's Double-A affiliate in Birmingham. John Parke, meanwhile, had 17 strikeouts and only three runs allowed through 17 innings with Chicago's Single-A affiliate in Kannapolis.